The campaign will mobilize domestic workers statewide on a monthly basis to engaged in press activities, rallies and other actions until Gov. 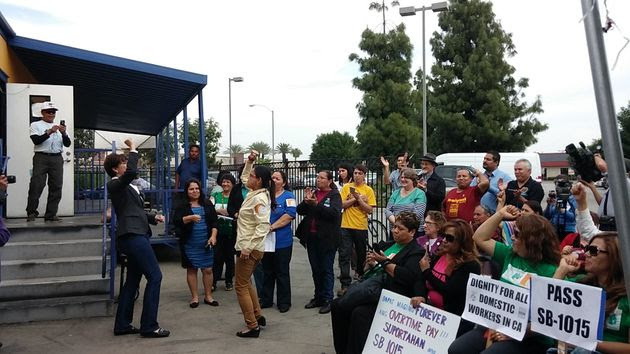 Brown signs thenew bill, which Senator Connie Leyva introduced last month, to make overtime protection permanent. In California, 90 percent of domestic workers who worked overtime did not always receive overtime pay, according to a 2007 Household Worker Rights CoalitionSurvey. California is one of only five states in the country to have passed a domestic workers bill of rights, according to Joaquin, including NY (2010), HI (2013), MA(2014) and CT (2015).